Gluten-free cookies are cookies that do not use wheat flour and contain less than 20 ppm gluten.1 Besides wheat, other cereals like rye, barley, triticale and spelt also contain gluten. 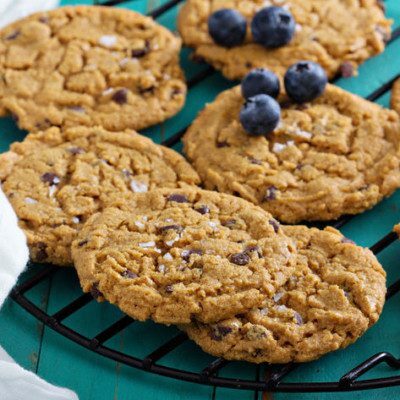 Gluten-free cookies benefit consumers who suffer from celiac disease. What ingredients can be used to make gluten-free cookies? Cookies are mainly made of flour, sugar, fat and water. Gluten in wheat cookies is only slightly developed, which allows a greater diversity of ingredients that could be used in gluten-free cookie manufacturing. Millet flour is significantly rich in resistant starch, soluble and insoluble fiber, minerals, antioxidants and nutraceuticals. It has high nutritional value as compared with wheat. With the awareness regarding unbalanced diets of celiac patients, there is a trend toward utilizing pseudocereals (amaranth, quinoa, and buckwheat) in gluten-free bakery formulations in order to improve the nutritional profile of final products. Dairy protein, soy protein, egg protein and pulse protein, with or without emulsifiers, can be used.2 Dairy and soybean proteins are the most frequently used in gluten-free products. Addition of soybean and egg proteins to gluten-free products has shown strong gel-forming behavior. It has also been reported that addition of soybean or pea proteins to rice flour modifies the mechanical properties of the rice-protein blend dough. The use of 7.5% soy protein isolate or whey protein concentrate, along with 0.5% emulsifier such as glycerol monostearate, significantly improves the quality characteristics of cookies with rice flour. Pre-gelatinized starch in particular improves viscosity to retain air bubbles and increase volume.8 Chemical leavening provides the carbon dioxide that expands during heating, creating larger air bubbles and improving volume. Swati S., Indrani D., Vijaykrishnaraj M., Milind, K.V.A., Prabhasankar P. Effect of protein concentrates, emulsifiers on textural and sensory characteristics of gluten free cookies and its immunochemical validation. Journal of Food Science and Technology (2014). Eglantina D.D., Culetu A. Evaluation of rheological, physicochemical, thermal, mechanical and sensory properties of oat-based gluten free cookies. Journal of Food Engineering 162 (2015):1-8. Arti C., Saxena D.C., Singh S. Total dietary fibre and antioxidant activity of gluten free cookies made from raw and germinated amaranth (amaranthus spp.) flour. LWT – Food Science and Technology 63.2 (2015):939-45. Hadnađev T.R.D., Torbica A.M., Hadnađev M.S. Influence of buckwheat flour and carboxymethyl cellulose on rheological behaviour and baking performance of gluten-free cookie dough. Food and Bioprocess Technology 6.7 (2012):1770-81. Adisak A. Influence of konjac flour on foaming properties of milk protein concentrate and quality characteristics of gluten-free cookies. International Journal of Food Science & Technology 51.7 (2016):1560-9. Altindaq G., Certel M., Erem F., Ilknur K.U. Quality characteristics of gluten-free cookies made of buckwheat, corn, and rice flour with/without transglutaminase. Food Sci Technol Int. 21.3 (2014):213-20. Ziobro R., Korus J., Witczak M., Juszczak L. Influence of modified starches on properties of gluten-free dough and bread. part ii: quality and staling of gluten-free bread.” Food Hydrocolloids 29.1 (2012):68-74.